A highly moisturizing and revitalizing treatment where the freshness of the gel combines with the silkiness of the cream to provide pleasantly relaxed skin. A highly moisturizing and revitalizing treatment where the freshness of the gel combines with the silkiness of the cream to provide pleasantly relaxed skin. 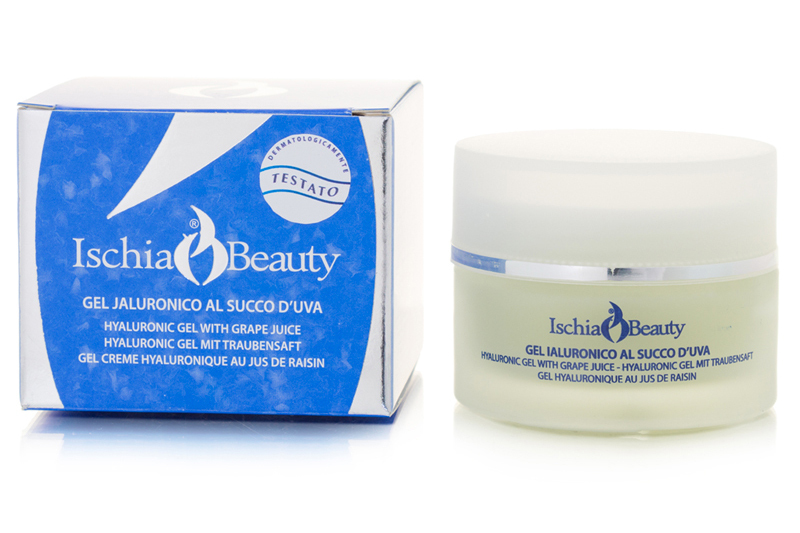 Rich in Hyaluronic Acid an Grape extract (Vitis Vinifera), potentiated by the energy and pure vitality of the Thermal Water of Ischia, this cream-gel improves skin suppleness and reduces signs of ageing. Ideal for all skin types. Daily application improves the quality of skin tissues, guaranteeing constant restructuring, as well as providing a long-lasting, intense and deep moisturizing effect. Day after day, the skin appears luminous and evidently younger. Instruction for use: apply daily, morning and/or night, on face, neck and décolleté with a light massage after suitably cleansing and toning the skin. Works best (after cleansing the skin) with our Anti Age Hyalu Mask and our Hyaluronic and Soft Filler for a truly effective synergic reaction.